Closing the books for 2013 - Quick Pro Consulting, Inc. | Quick Pro Consulting, Inc. It is that time of the year again when business owners must prepare to close the accounting books and ready for the upcoming tax season. We are here to help! 1. Accounting Books: If you are handling your own accounting books, it is important that all transactions from each corporate account are booked correctly. Any uncategorized transactions should be coded correctly or given to your accountant with enough details so he can correctly record the transaction. 2. 1099 Recipients: Be sure to collect the current mailing addresses for all of your independent contractors who are eligible to receive a 1099. Any individual that you paid more than $600 in the calendar is required that their payments be reported on a Form 1099 MISC. These individuals should have signed a W-9 along with a photo ID that you have filed with your records. If you are missing any of these forms, it is important to contact this individual so they can sign a new form W-9 complete with their Tax ID and Photo ID. 3. Inventory: If your business carries an inventory, it is important that you complete a physical inventory of your merchandise. An accurate inventory valuation will ensure that you are reporting your profit margin accurately. 4. Account Statements: All bank, credit card, notes, and other loan statements must be gathered so your year end balances are reconciled. All corporate account balances including credit cards and loans must be reported properly, especially if your tax return requires a balance sheet. 5. Payroll: All final payroll amounts must be booked properly by the end of the year. Payroll liabilities and wages are reported with the funds are paid, not when the pay period ends. All payroll that is to be reported in 2013 must be paid by 12/31/2013 or it will be reported in 2014. 6. Cash Expenses: Be sure to record all cash expenses that are business related so you are sure to receive those deductions. Cash expenses cannot be relied on by bank or credit card statements so it is important that you maintain a file with the receipts to support your deductions. 7. Retirement Contributions: If you are involved in a retirement program, speak with your accountant or financial advisor on the deadlines to make contributions so you receive the credit for 2013. 8. Tax Deposits: If you are required to make tax deposits each quarter, please be advise that you must make your 4th QTR 2013 tax deposit by January 15th, 2014. If you normally pay taxes at the end of the year, you may be required to make an estimated tax deposit. You can accomplish this by mailing in a check along with a Form 1040-ES voucher, or via EFTPS if you have registered to pay federal taxes electronically. 9. Equipment purchases / property improvements: Some equipment and property improvements may be eligible for a section 179 deduction in 2013. This may be the final year for such deductions, or may be much more limited in future years. If you have any equipment or other fixed asset purchases, speak to your accountant regarding their qualification for the deduction. If your business is showing a profit in 2013, you may benefit significantly by this deduction. You must maintain the supporting receipts / purchase information available so the equipment can be booked correctly. 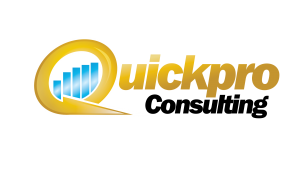 We at Quickpro Consulting with you a successful 2014! Please contact us for help in regard to any year end closing activities. Any referrals that you send our way will receive the same professional attention that you’ve experienced with us and we will certainly extend to you our appreciation.